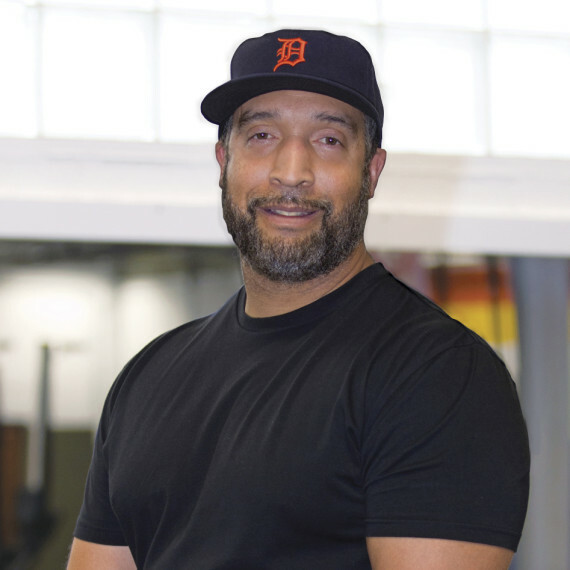 Eric is an ACE- and CrossFit-certified personal trainer with almost 30 years of service in the fitness industry. A 3-time ElitePerformer with Bally Total Fitness, Eric has worked with a diverse population of clients, from disabled individuals to top-level athletes. Between his experience as a personal trainer and working with chiropractic patients, Eric has developed an ability to address his clients' needs with a safe and effective approach while working with them to define their goals. Eric’s experience, love for his clients and willingness to continue to learn and expand his craft enables him to grow his clients to the next level of fitness.